Interested in learning about probiotics, fermented foods and drinks, and the role of gut health? 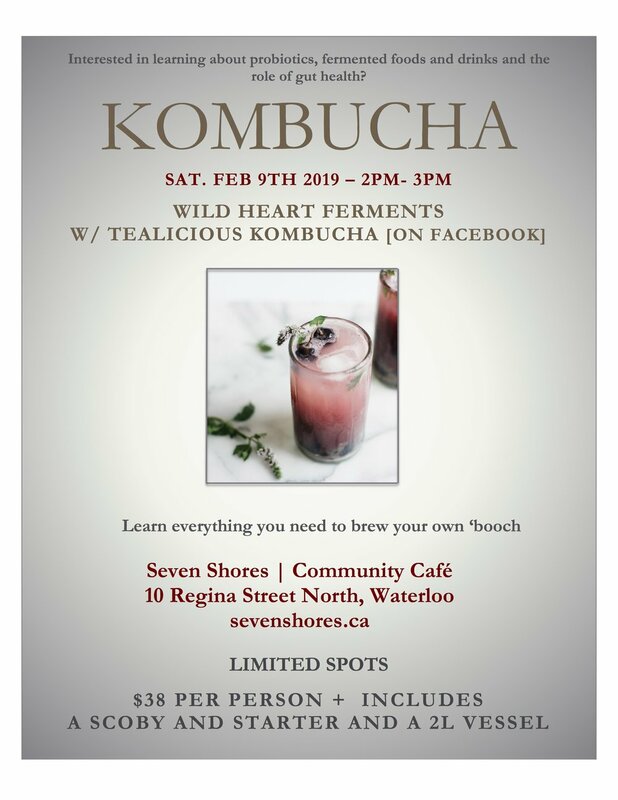 Join "Wild Heart Ferments With Tealicious Kombucha" for this invigorating and hands-on workshop with this ancient elixir. Kombucha is a strong powerhouse probiotic drink that will supercharge your health and immune system. Learn everything you need to know to brew your own 'booch. Includes a SCOBY, starter liquid, and a 2L Glass Brewing Vessel. Cost is $38/person. Space is limited.